These are our promises to our customers. They serve as the foundation for managing our business, allocating resources, making the right choices and planning the future of our company. To serve our customers so well that they have no reason to consider an alternate supplier. To be the “Clear Choice” when it comes to springs, wire forms and small stampings. Our products shall conform to the requirements specified by our customers. 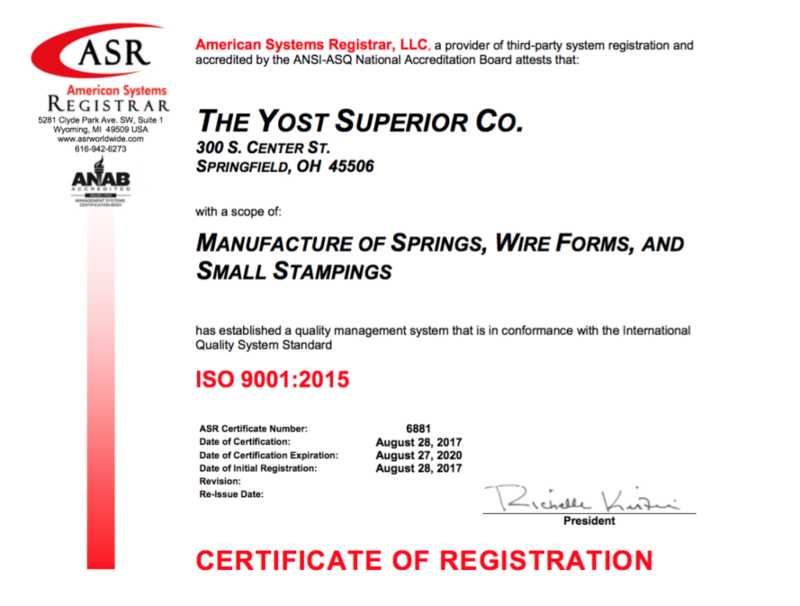 We are committed to continually improving all products and services and to maintain The Yost Superior Company as a quality leader in our field. To learn more about our products or our company, send us an email or call (937) 323-7591.